Mimi Brown, Haro Cumbusyan and Sultan Sooud Al Qassemi to be our next collectors-in-residence. 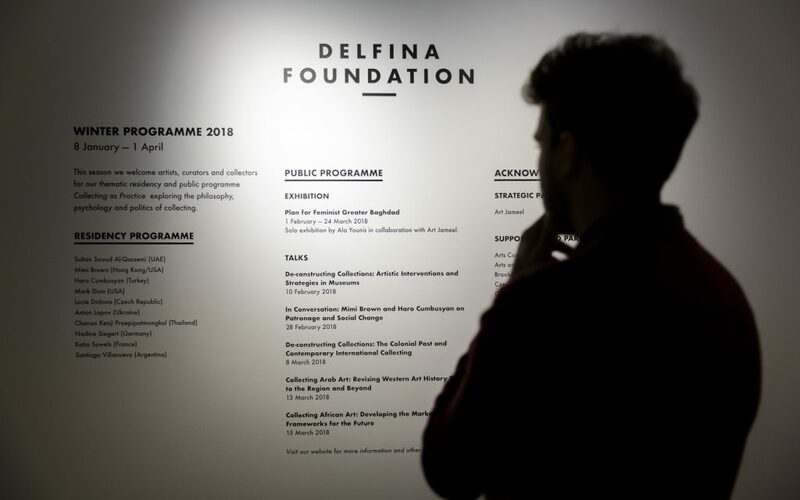 Continuing our Collecting as Practice thematic programme, we are pleased to be hosting three more collectors-in-residence at Delfina Foundation during our winter 2018 season. Haro Cumbusyan (Turkey), founder of collectorspace, Istanbul (26/02–04/03/18); Mimi Brown (Hong Kong/USA) founder of Spring Workshop, Hong Kong (26/02–04/03/18); and Sultan Sooud Al Qassemi (UAE), founder of Barjeel Art Foundation (12/03–18/03/18). To find out more about them click the names to read full biographies. These collectors will engage with the artists and curators in residence, and through private and public conversations will contribute to our exploration of the philosophy, psychology and politics of collecting. To learn about our previous collectors-in-residence and the 2017 programme’s activities click here.